Hair Transplant Evaluation Densitometry - What is hair loss densitometer? Before a hair transplant procedure, certain measurement techniques are used to determine whether patients qualify for a hair transplant. Densitometry is one of the techniques used in the evaluation process of a patient’s candidacy for hair transplant, and it helps physicians better evaluate hair density and miniaturisation, both of which are important variables in deciding whether a patient is a good candidate for hair transplant. Densitometry can even help in predicting future hair loss. With the emergence of follicular unit transplantation (FUT), which allowed hair surgeons to safely and rapidly transplant a large number of follicular units, hair transplant has become a less invasive and more efficient procedure that revolutionised the field of hair transplant and paved the way for modern hair transplantation. It also cut down on hair transplant procedure times by allowing thousands of hair follicles to be transplanted in a single session and hair restorations to be completed within just a few procedures. 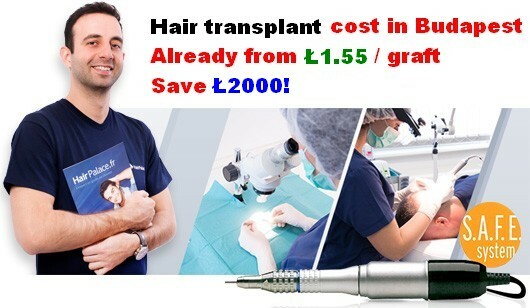 And the favourable implant costs are especially attractive for those looking for hair transplantation abroad. But not all patients are ideal candidates for hair transplant and a careful evaluation is essential in determining which patients should undergo surgery, and which patients can be expected to respond well to medications alone. Similarly, it’s also important to determine which patients will have a stable hair loss and which are expected to become extensively bald. As hair transplant produces permanent results, the evaluation process should be taken seriously and should be performed by qualified hair specialists. 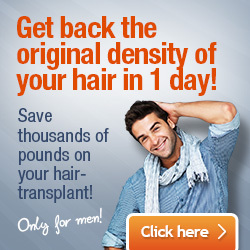 Hair transplant price per hair pieces or grafts? 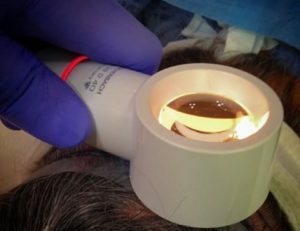 Thanks to densitometry’s ability to provide objective information about the patient’s scalp, it’s a useful tool in analysing the patient’s scalp under high-power magnification. The small, hand-held instrument that is used in densitometry provides the following useful information: hair density information (number of hairs in a certain unit area), density of follicular units (number of follicular units in a certain unit area), the number of hairs per follicular unit area, presence and degree of miniaturisation, hair shaft diameter, response to treatment with medication, and growth following hair transplant. Therefore, densitometry is useful both during the pre-surgery evaluation process and post-surgery evaluation process. A further advantage of the hand-held densitometer is that it can be easily used to take multiple measurements of different parts of the scalp to better evaluate the condition of the scalp, especially when there are significant variations from one area to another. The hair densitometer actually pre-dates FUT hair transplants with a couple of years, and the densitometer was originally used during consultations to measure donor density, to assess the number of grafts that could be obtained from this area, and how donor area reserves would change as a result of subsequent harvesting sessions. Later, its use was expanded and hair surgeons started using it to improve the diagnosis and treatment of hair loss both for men and women, as well as of patients with diffuse patterned and un-patterned hair loss. When hair surgeons started to use FUT as a hair transplant method, densitometry has found yet a new applicability in measuring the density and composition of follicular units, thus helping surgeons better plan the procedure itself and evaluate patient’s compatibility with this procedure.